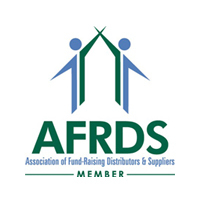 Spectrum Resources Inc. is a supplier to fundraising companies across the country for the printed materials you need for your fundraising programs. For the past 15 years, we have provided our clients with custom printed materials such as beautifully enhanced brochures, prize flyers, cookie dough brochures, envelopes, order forms, pick tickets, posters and various other printed pieces. To further support you, we stock pre-printed NCR order forms, money envelopes, student envelopes, teacher envelopes, home delivery order forms and more in our warehouse, ready for immediate release. You can now ORDER THESE STOCK PRODUCTS ONLINE, by visiting our Fundraising Site for everything you need to run your business and make more revenue. We can honestly say, "Spectrum knows more about your industry and your needs than any other printing company." Or use our new, convenient, on-line ordering here. Everything you need for your school programs, IN STOCK.